How would you know if your partner was unhappy? Several of us would say that we will be able to tell through their expressions. That’s correct! 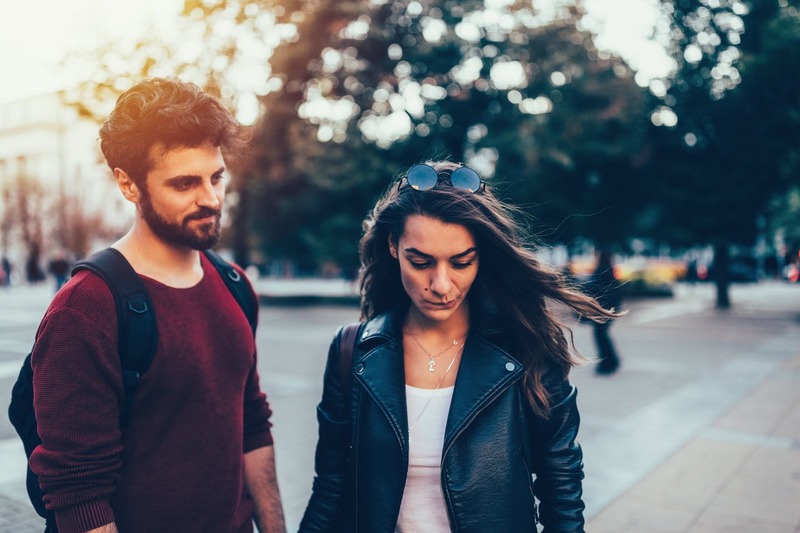 However, if your partner’s unhappiness is caused by dissatisfaction, it’ll be hard for you to spot relationship signs that indicate unhappiness. So what do you do? 1. You notice that things aren’t what they used to be. It’s rather easy to get side-tracked when you have a ton of things to do at work. You may not have noticed that circumstances in your relationship are not what they used to be. Everything seems to follow a routine. Most things seem to be emotionless. This is your first sign. 2. You make up excuses to go home later. You may not have noticed it but your brain could be telling you that home (where your partner is) is a place that’s causing you immense amounts of anxiety. Naturally, our brain will indirectly tell us to avoid home. 3. You don’t share anymore. Did you and your partner used to have a ton to talk about? If this isn’t happening now, it’s a sign that your unhappy, your partner is unhappy or that your relationship is in trouble. This means that you or your partner have withdrawn yourselves from your relationship. 4. You’re giving in to distractions. Are you out with your friends more frequently lately? Have you been taking up new hobbies without telling your partner? You could be, subconsciously, desiring to experience something new to take a break from the dire situation you are in. 5. You are always irritated. You likely always feel that your partner is not meeting your needs, whether they be emotional needs or physical ones. As a result, you are always annoyed when they are around you. The root of your or your partner’s annoyance is actually unhappiness. As you may have noticed, this post is a two-way street. You can find the relationship signs of unhappiness in yourself, or you can find them in your partner. Whichever the case is, if you do spot one or two signs, you should definitely act on it by being open and honest with your partner. For more relationship advice, check out the rest of our blog.